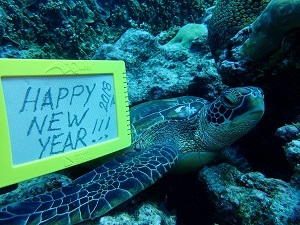 Sunny Divers > YUちゃんのグアムブログ/Yuchan’s Guam Life > 新年明けましておめでとうございます！　Happy New Year!!! This year we are brainstorming different tours which no other companies are trying. Once we have done some trials with it and figure it out please come and support us!!! A tour that everyone can enjoy with everyone!! !